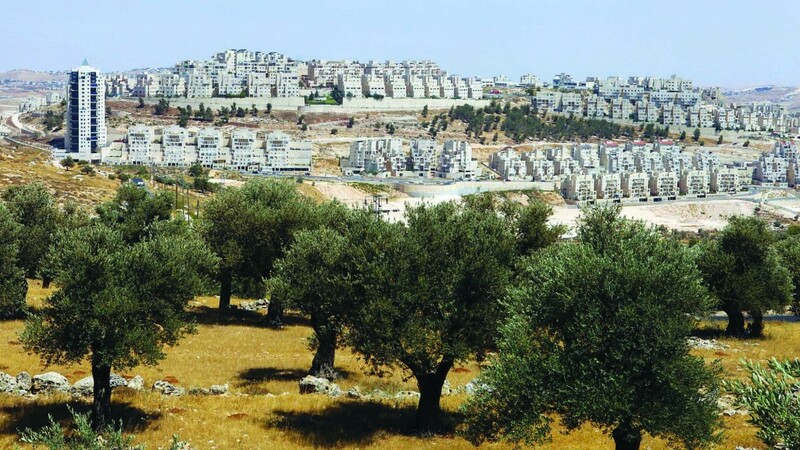 An internal report of the Civil Administration revealed by Channel 20 and Yediot Acharonot indicates Israeli worry over a new “land grab” tactic by the Palestinians. Between 2011 and 2018, the PA planted about one million olive trees, in order to lay claim to open spaces in Areas B and C.
The report was written in advance of the olive harvesting season, which is currently in full swing. The space on which the trees were planted amounts to some 400,000 dunams. Many of the trees are strategically placed, outside Jewish towns, in order to prevent their expansion. Many of them are also planted on state land. In order to plant the trees, the PA first ensures a water supply, which could involve either drilling for water and further depleting underground aquifers, or diverting water from Mekorot pipelines. According to the report, in 2011 there were 420,000 dunams of land with olive trees planted on them. That number ballooned to 790,000 by 2018 – a rise of some 91 percent. Altogether, the land area that the trees were planted on equals the land on which the cites of Yerushalayim, Tel Aviv, Haifa and Be’er Sheva are built – altogether. The report was prepared to aid the Civil Administration in ensuring a smooth olive harvesting season, the report said. In order to ensure that there are no disruptions, the Civil Administration will “conduct meetings and tours for all the authorities responsible for the harvest, including PA officials, farmers’ groups, the IDF, and police,” it said.